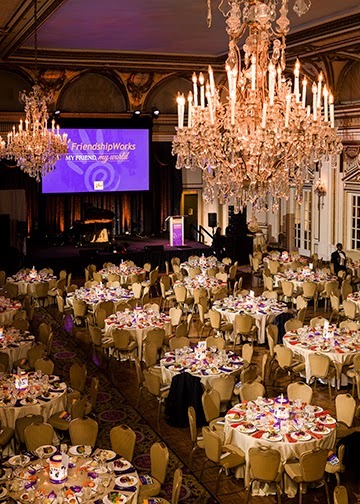 Illuminaria designed custom centerpieces for Friendship Works' 30th anniversary gala held in the Ballroom at the Fairmont Copley Plaza. The warm colors and photos added brilliant highlights to the beautiful surroundings. Love the chandeliers! Love our centerpieces! Love Friendship Works! 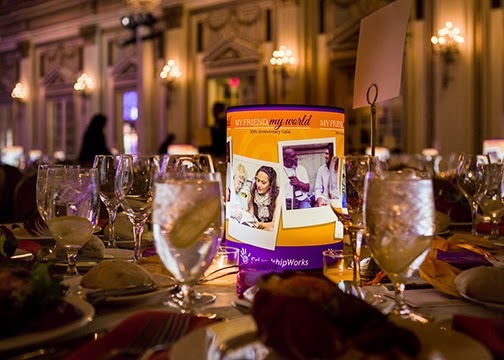 Our thanks to Liz Page Associates for including Illuminaria at this event. Click here for more information about Friendship Works and their services to the elderly.